By far, one of the most beautiful cities I have visited while abroad is Nice, France. The amazing Mediterranean style architecture combined with the beautiful aqua water makes for the perfect scenery. With so much beauty, the city provides endless outfit inspiration, which we’ll explore below. Note: While it is getting cold elsewhere in Europe, Nice is still pretty warm. Just add some layers to the following looks – or save ’em for winter vacay – if it’s too chilly where you are. One of the most spectacular things about this city is the stunning panoramic view. From the top of the hillside, you have a clear view of the downtown area along with the bright ocean water. The muted pinks and yellows from the buildings alongside the water form a cool color combo that makes for a great outfit. 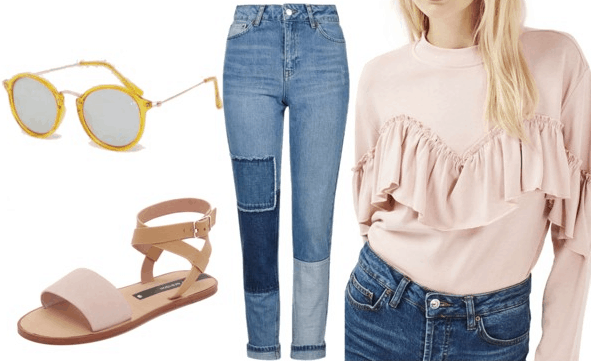 I channeled it below with ripped jeans, a cool fringey sweatshirt, and blush pink sandals. One aspect of Mediterranean city style is the brighter, warmer colored buildings. 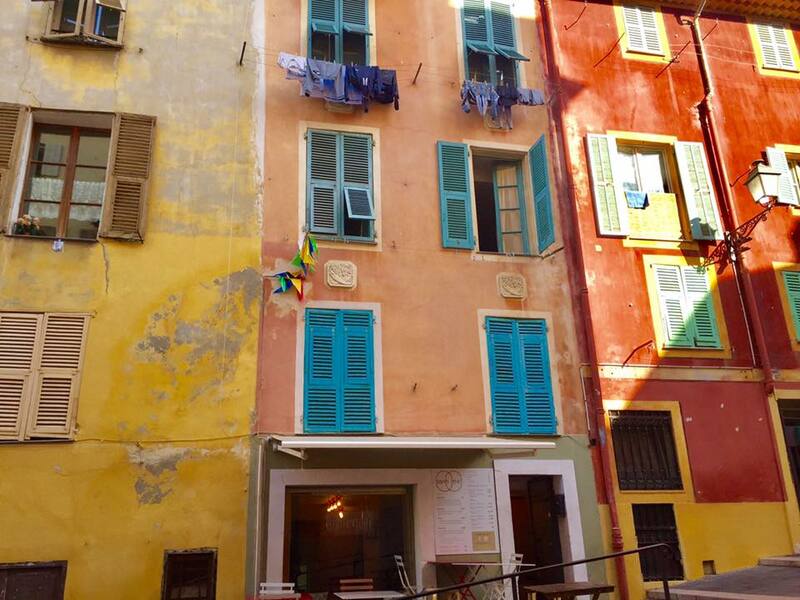 Everywhere you look in Nice, you’ll see light oranges, yellows, and pinks complemented by turquoises and greens. 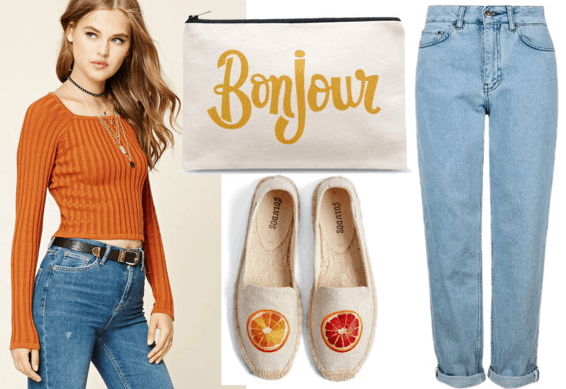 Use this color combo for an outfit with a bold orange top and light wash mom jeans. Lastly, throw on some cute espadrilles, like the ones below, to add some fun to your outfit. Nice has lots of palm trees, which reminded me of my home in California. There are also lovely green patches and parks scattered throughout the city. 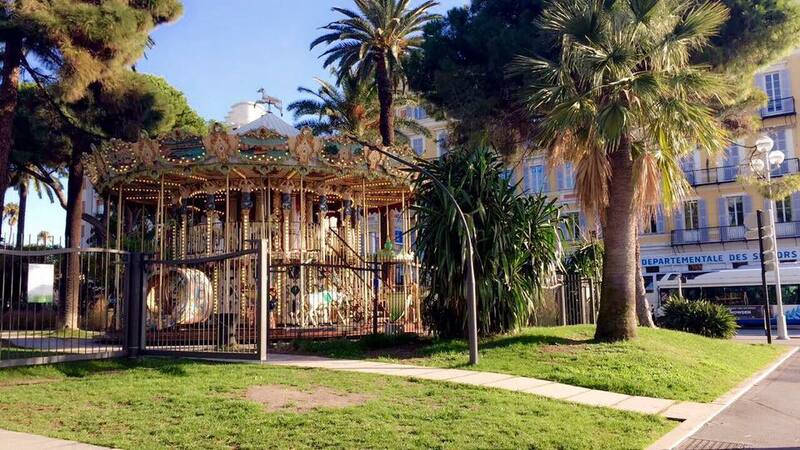 Here, I’ve created a look inspired by this oceanside park, which features a beautiful vintage carousel. 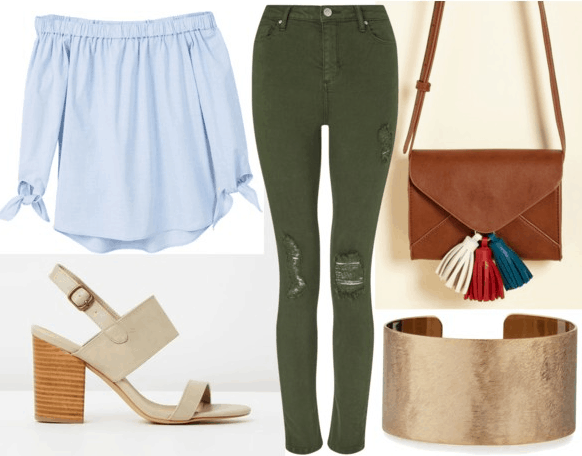 Use the green from the park, the blues from the sky, and the gold from the carousel to create a cute look perfect for exploring the quaint streets of Nice. Which look is your favorite? 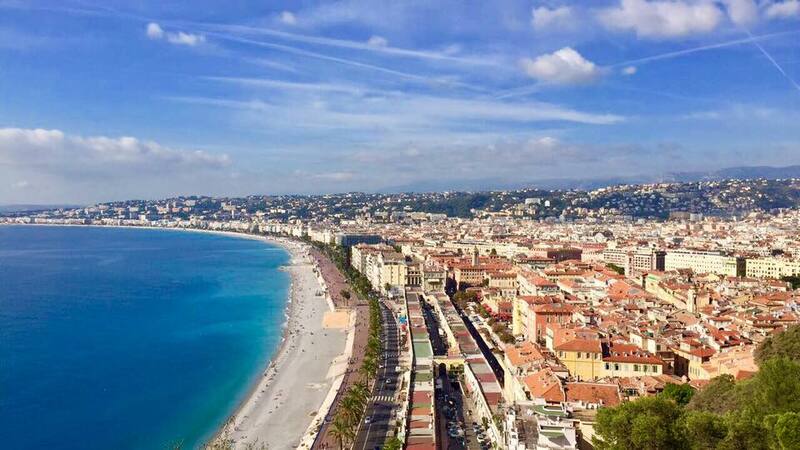 Have you been to Nice? Let’s discuss in the comments!